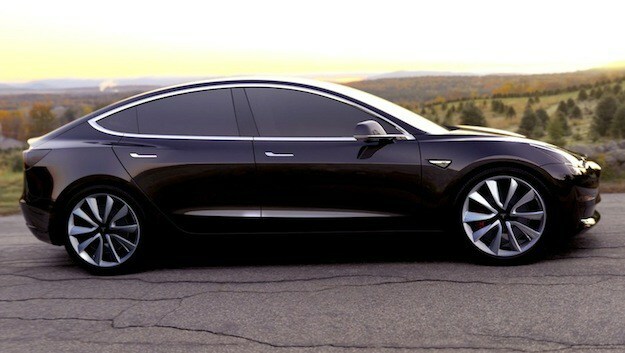 The Pre-Production Phase of The Tesla Model 3 Is Exciting! Tesla is changing the way we think about cars, which is definitely sparking conversation. After all, over 115,000 people put deposits down on the Model 3, one of the latest cars in Tesla’s production lineup. We don’t know a whole bunch about this car yet, but the details that Tesla HQ has released give us enough to at least dream a little bit. We’ve been talking about electric cars, and why adoption is a beautiful thing. For those out in rural areas, charging stations are still scarce. However, that won’t last forever. As demand increases for electric cars, there will be more charging stations. Right now it’s up to people that do have the disposable income buying the cars before the affordability factor comes into play. This is why Tesla’s announcements on the Model 3 are so interesting: the company is focused heavily on affordability. Itís been the biggest jab to electric cars for a long time. Despite the intentions of the innovators, the fully electric car has been seen as a staple of the well to do, rather than the working class. But the Model 3 is supposed to appeal to middle class tastes without breaking the bank. The MSRP is posted at 35,000, but that’s before any incentives come into play. Most states are pushing for more electric car rebates and incentives in the future, especially as they chase the dream of zero emissions vehicles. We also have some great features coming up, despite production not fully starting until 2017. The first feature that we noticed being mentioned was the fact that the Model 3 can get 215 miles of range per charge, and there is a supercharger available to cut down on the charging time. For city driving, 215 miles gives you a lot of range. Drivers that like fast acceleration will love that this car can go from zero to 60 in six seconds. No, that’s not a misprint at all: six seconds! That’s a great acceleration time and you’ll get plenty out of life out of this electric car. The coolest feature in our opinion is the foundational hardware for self-driving cars. This is one of the most innovative feature yet, because self driving cars are on the horizon. Would you let your car drive you around? It’s definitely something to think about. We’re excited about the Model 3, and plan on giving you more information as it is released.